4630 N 11th Place appraised at $290,000. Now accepting offers from preservation-minded buyers. UPDATE: THIS HOME HAS SOLD! 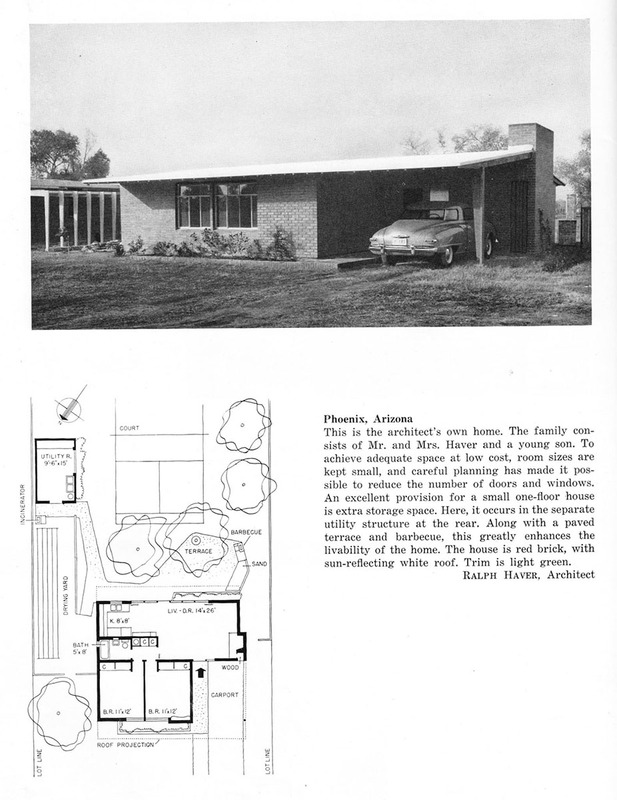 There may be hundreds of Haver Homes in Arizona, but only one is the first home he built for his family! 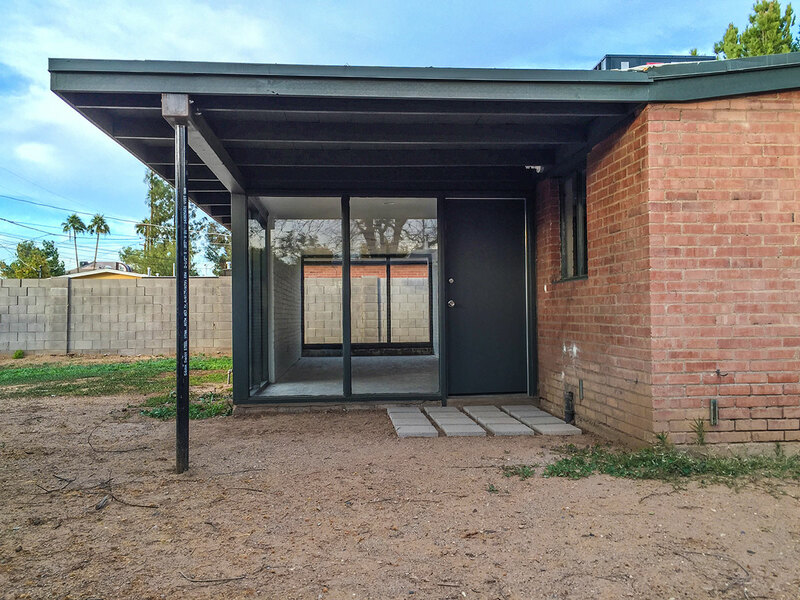 Restore and enjoy acclaimed architect Ralph Haver AIA's own postwar era home in the heart of Uptown Phoenix. This red brick beauty was rescued from years of rental use and sensitively stabilized by owner Brad Jannenga and architect Hayes McNeil in 2015. 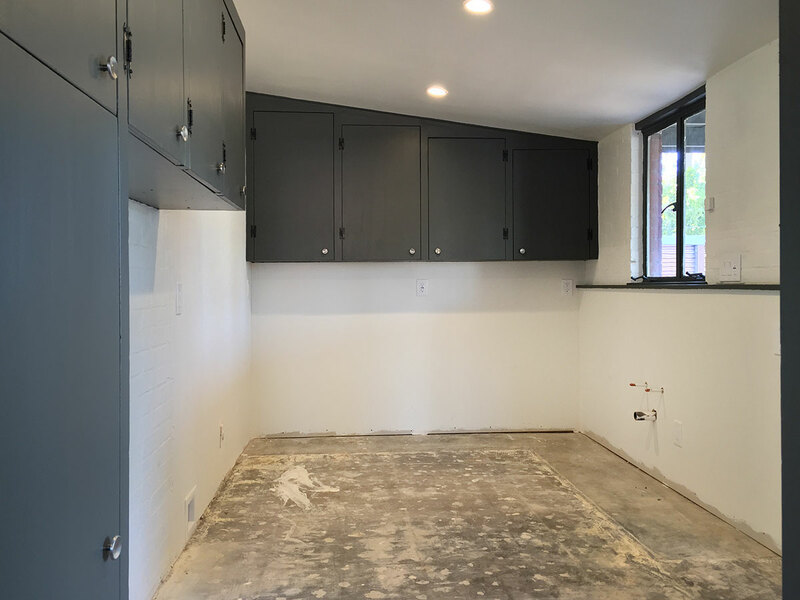 They've repaired the hard damage, hardly touched the original plan, kept much of the original cabinetry, and thoughtfully left the kitchen blank so a new owner can build it to suit. 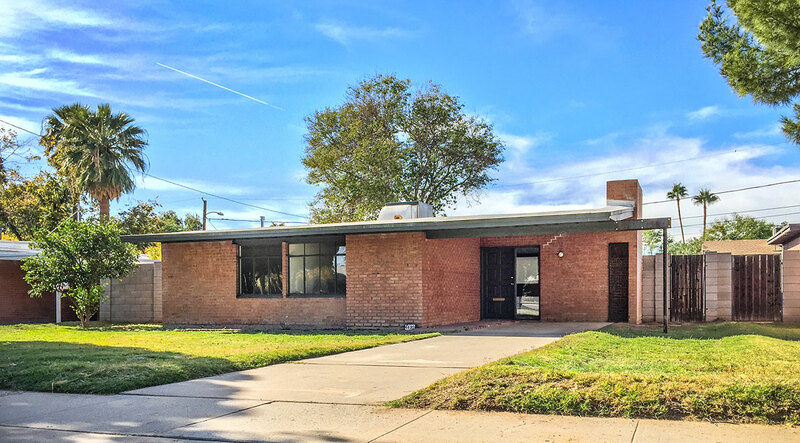 Home is 2 bedroom and 1 bath appraising at 1,179 sq. ft, and also includes a 9.5 X 16 guest house with 1/2 bath and utilities. It is on a generous irrigated lot in the Canal North neighborhood of Uptown, an area nicknamed Emerald City for its lush and mature landscaping and fresh urban lifestyle. 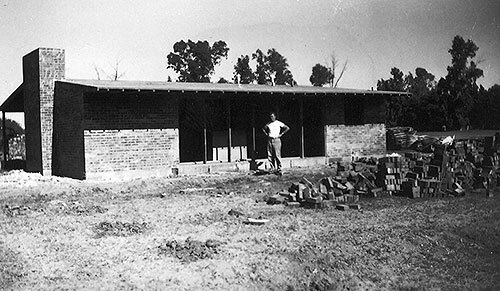 Before concrete masonry units became a standard in Phoenix, Ralph Haver built with brick. 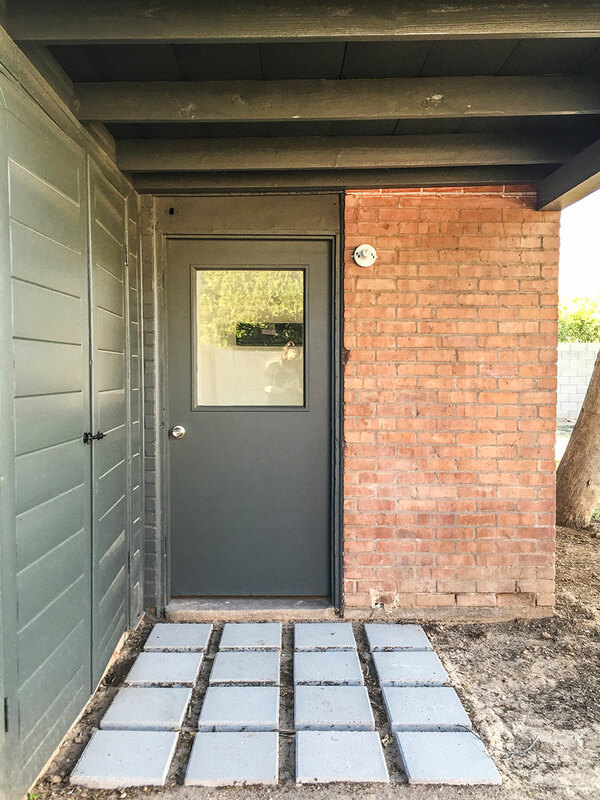 His home features red running bond brick laid by Haver's own family, with an unusual front door entrance in the carport — a new feature rarely found in pre-war homes in Phoenix. The sidelight window by the door is a consistent Haver touch found in many of his modern homes. The cubby on the right has a pass-through for firewood or possibly even milk. Ralph Haver AIA was a hands-on builder who enjoyed solving the practical problem of affordable housing for the middle class after the war. This vintage photo of the rear of the home shows how the house turns its back to the street and opens up to the west with a huge five pane living room window and door to the back yard. 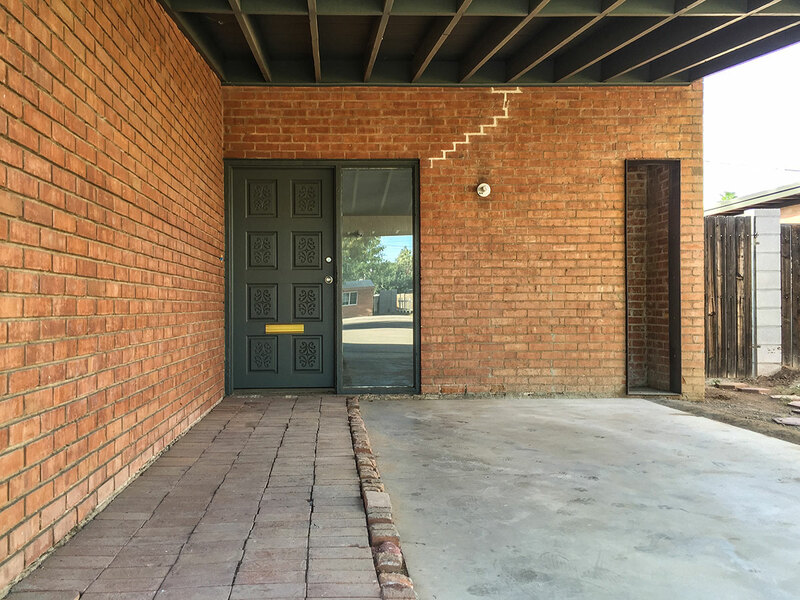 The front door leads to the living room, which features a reddish colored concrete that is typical for the time period. 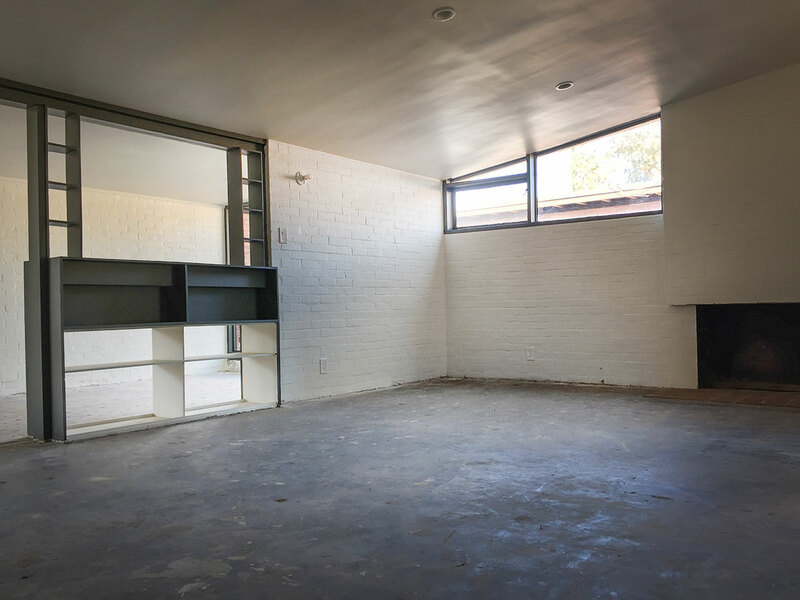 The home originally ended where the room divider is on the right, to be in compliance with postwar building restrictions that kept homes under 1000 square feet. When Haver's family grew and restrictions lifted, a wall of floor to ceiling windows was removed and a large room was added to the west. The first known example of Haver's angled clerestory windows is featured on the north wall. It was presumably added when the western window wall was taken down, as it does not appear in the vintage photo above. All historically intact windows are single pane, and many are casement with cranks. The room divider appears to have also been a planter. The fireplace hearth is characteristically mantle-free for a clean, modern look. 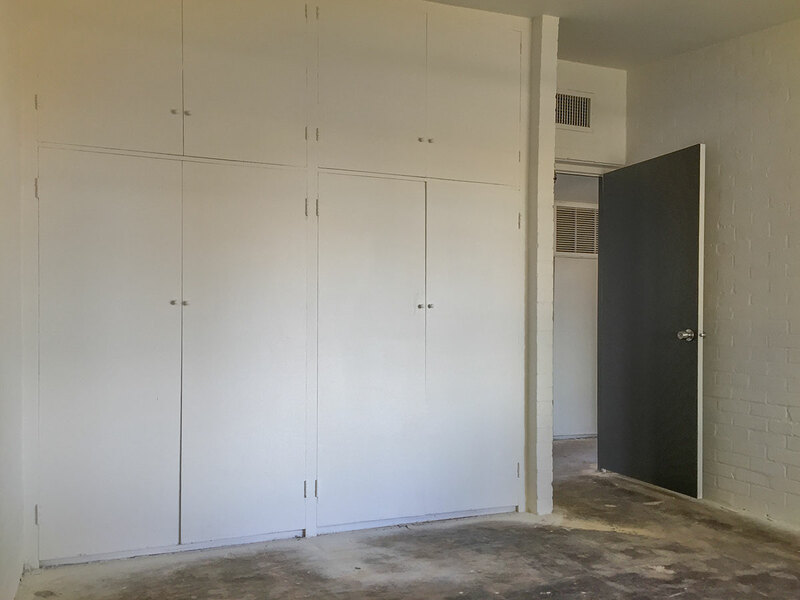 This room was added in the late 1940s once postwar building and material restrictions were lifted. Haver homes were often designed to be added onto, which is why so many have been altered over the years. This is likely when the hutch in the kitchen was also built, once the windows and door in that area were removed. 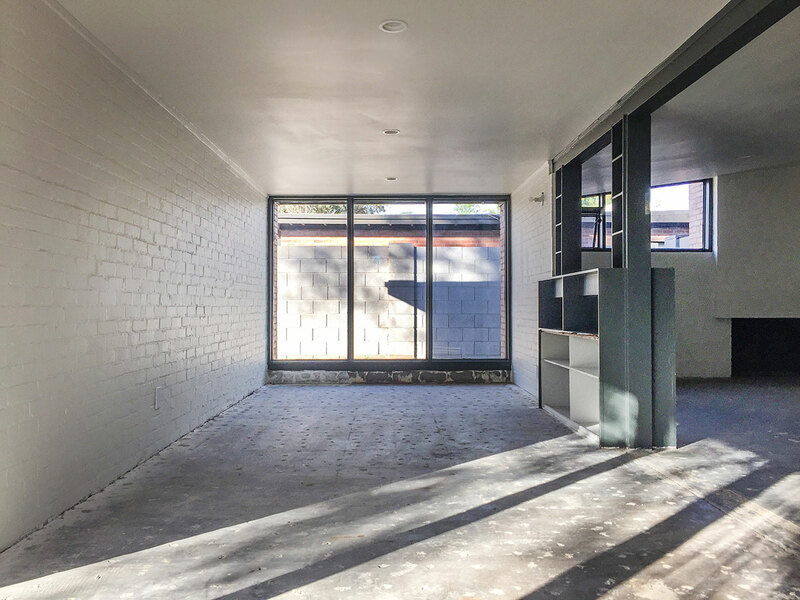 The floor to ceiling windows that used to be where the room divider is are now echoed on the north, west and south walls. In classic postwar style, the home does not have a large picture window out front. Instead, it turns is back to the street, and opens windows wide to the back and side yard. Historians theorize that architects used this technique in reaction to the close quarters soldiers experienced at war, and then again with their crowded family homes when they returned from service to experience a housing shortage in the US. Privacy was a luxury. 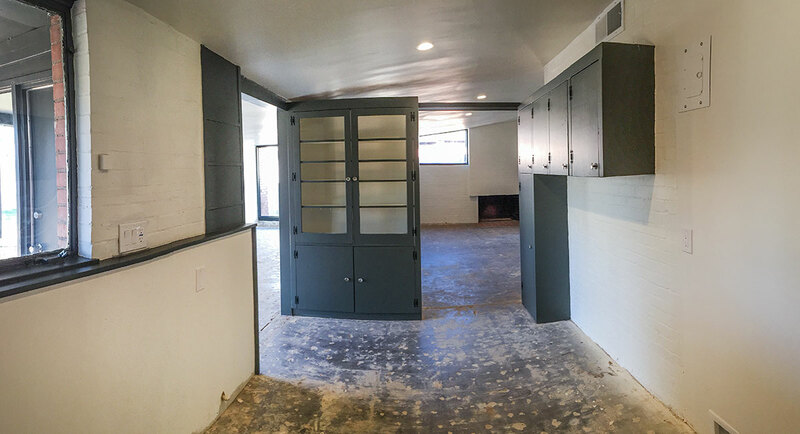 The kitchen has been cleared so you may customize your own experience, but all upper cabinets and a hutch remain. 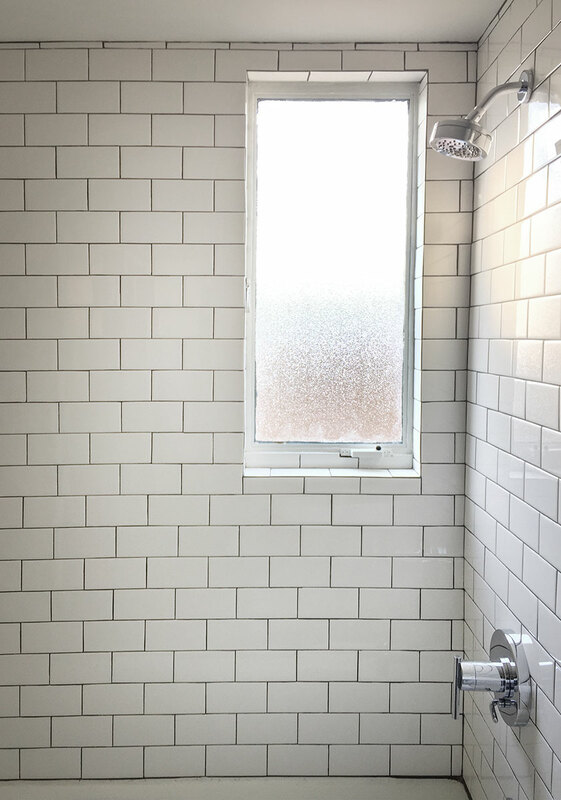 The casement window is positioned conveniently where the sink should go so parents can keep an eye on kids, and singles can keep an eye on sunsets and cocktail parties out back. 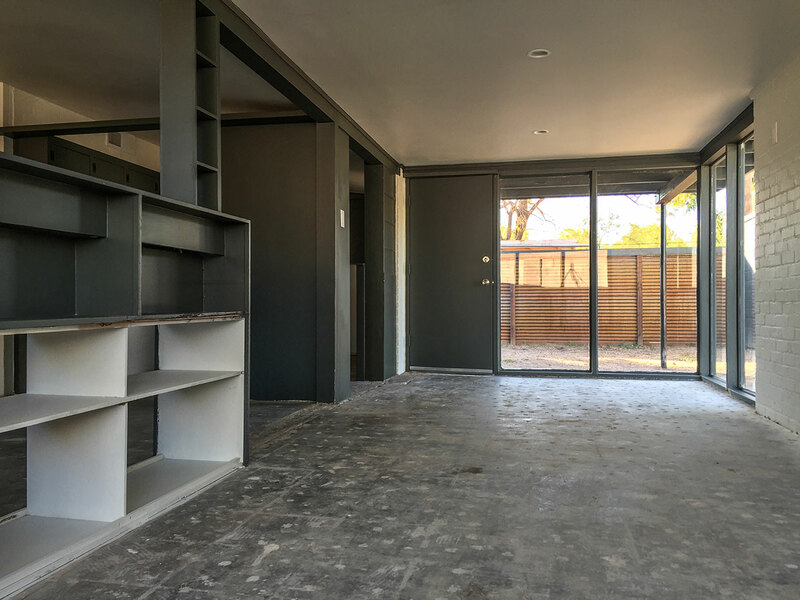 The two 11X12 bedrooms feature floor to ceiling built-in cabinets and casement windows facing the street. Cabinets like this would continue to be a hallmark of Haver Homes for decades, including in Starlite Vista. 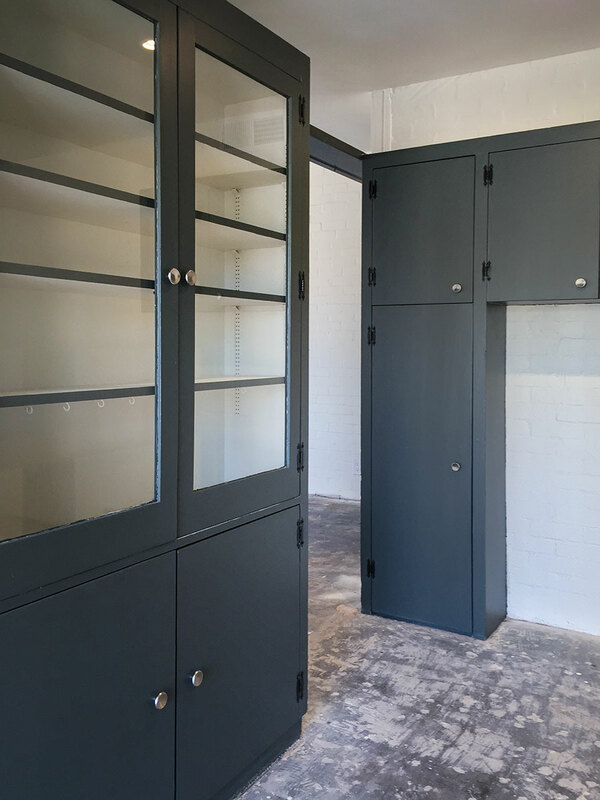 Built-ins were a desirable feature in postwar homes, since furniture would not have to be bought or dusted. 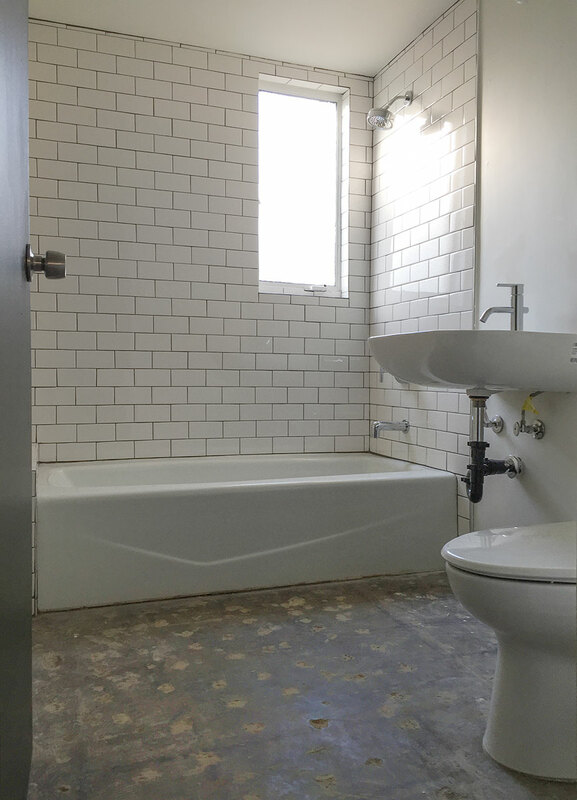 The bathroom was in poor shape after 70 years of use and has been updated with contemporary fixtures. The half-bath in the guest house has been updated as well. The 9.5 X 15 guest house in the back yard may be used as a spare bedroom, studio, man cave, granny flat or workshop. 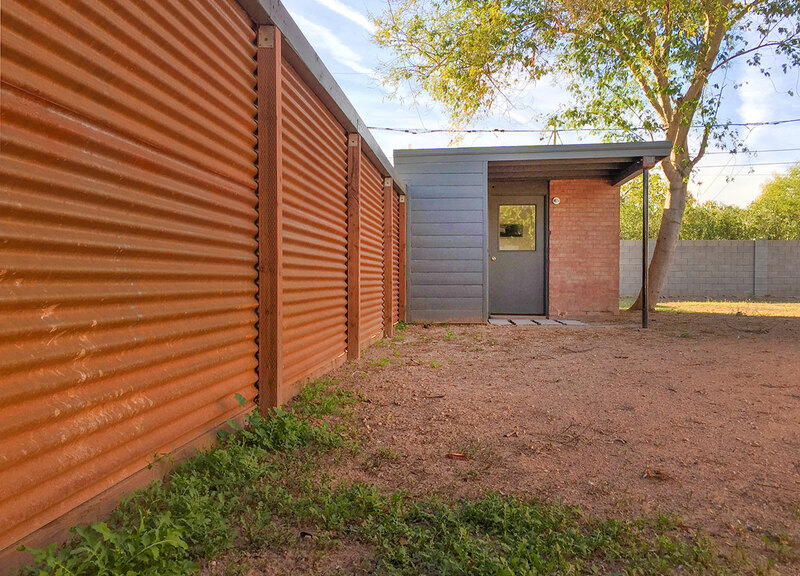 The corrugated steel fence was installed in 2015. This area once housed Ralph Haver's own personal woodworking shop and utility room. It now houses the washer and dryer in the cabinet to the left. Steel posts and beam reinforcements were installed in 2015. 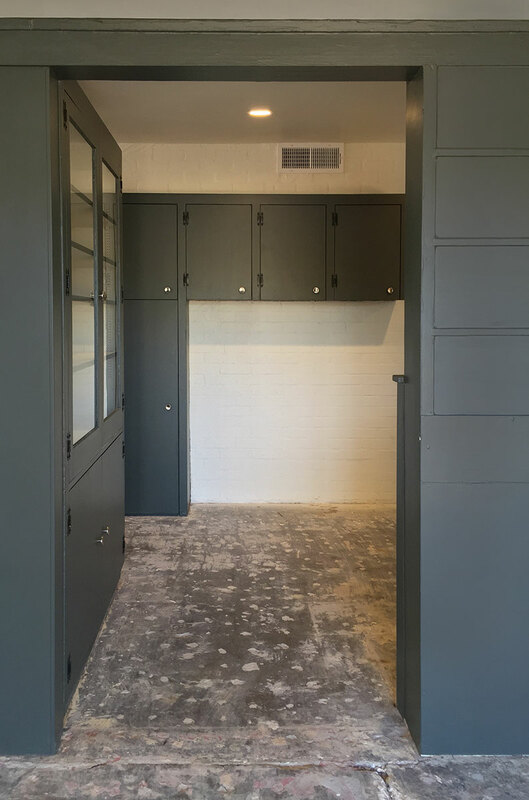 Original documents from the 1940s indicate this area was once a private tennis court! The 7,768 sq. ft. lot has a large back yard with one mature tree and is a blank slate ready to landscape. Twice-monthly flood irrigation can be channeled to reach the far corners, encouraging more shade trees and lawn growth. 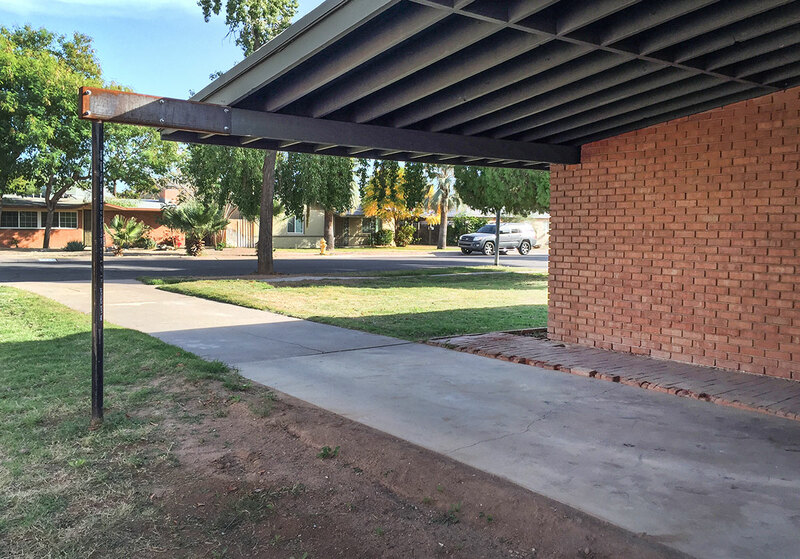 The carport beam has been reinforced and widened to accommodate the size of a contemporary car. 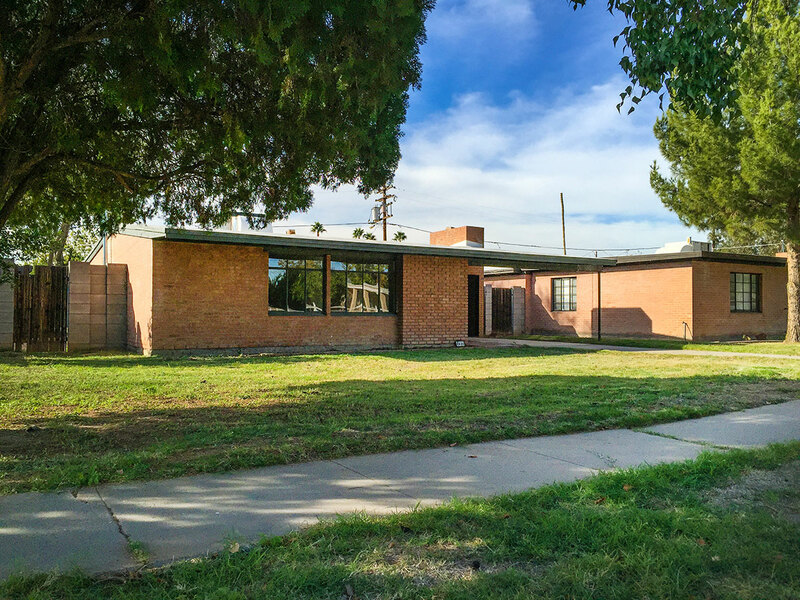 This Haver home is one of three red brick homes that Haver and his family built immediately after his service in World War II ended. The neighbors are friendly, love their Haver Homes, and are eager for a preservation-minded visionary to bring the historic home back to life. Full editorial disclosure: this home is immediately adjacent to the Modern Phoenix Headquarters. Preservationists will receive support in getting started with a historic property nomination. 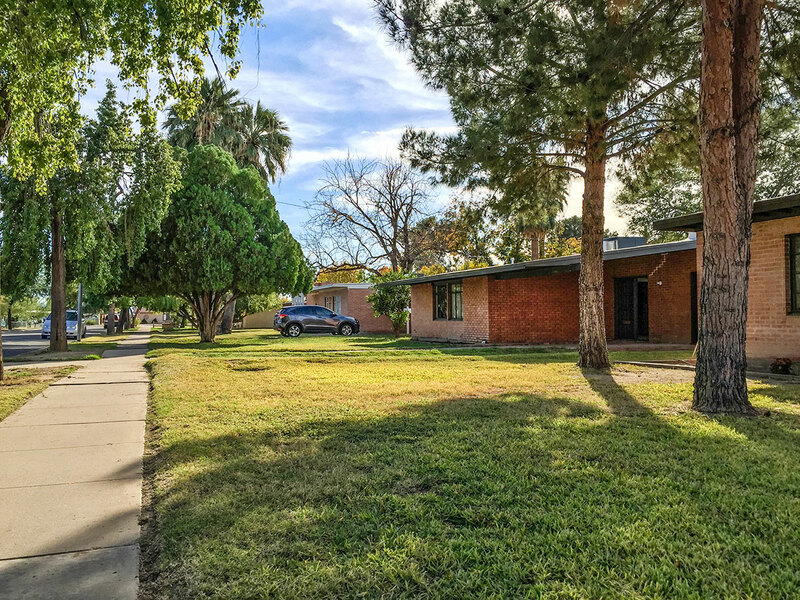 The Haver Family Home — especially in its unaltered form — is a strong contender for both the National Register of Historic Places and the City of Phoenix register of historic properties. Registration offers tax breaks, a stay of demolition by future owners, and other benefits. Oral histories and the Progressive Architecture article below authenticate its original schematic with the exception of the arrow pointing north, which appears to be pointing southeast. The Canal North neighborhood is one mile east from light rail in the desirable Madison School District with high performing schools, a one minute bike to the Arizona canal system, in the middle of the uptown restaurant and nightlife scene on the Camelback Corridor, and steps from Cor Tapas and Wine and The Strip (future home of Havana Cafe and The Pour House). Town and Country, Biltmore Fashion Park, Camelback Colonnade and Uptown Plaza are the closest major shopping centers. Minutes from the airport and freeways. Trader Joe's, AJ's and Whole Foods and the Uptown Farmers Market are all within five minutes drive, making this central location a foodie's dream. 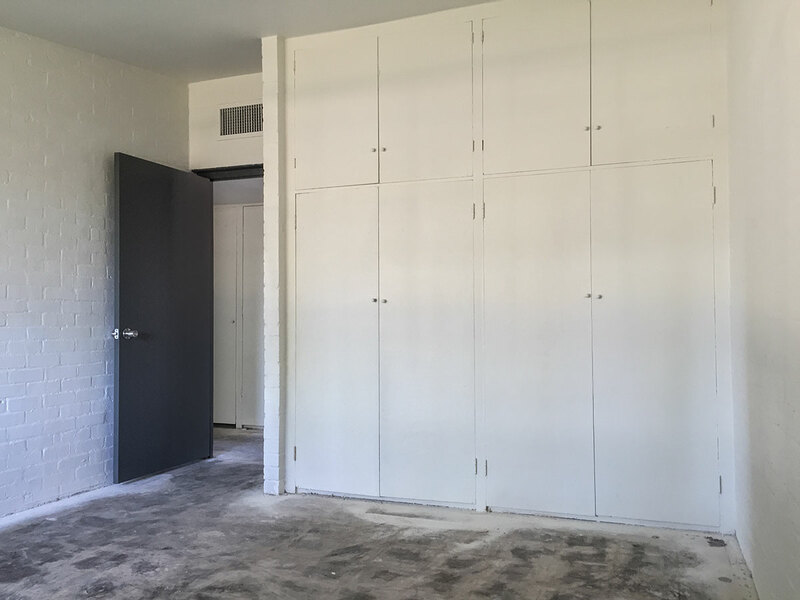 All measurements are based on Maricopa County Assessor records and original drawings by Haver; buyer to verify. Photos and story ©2015 Modern Phoenix. Historical Photos of Haver Home used with kind permission of the Haver Estate.